This week we had our Steel On Steel Group and Judy graciously offered to run the regular group. Judy did a wonderful exercise with the group. The group read More About Alcoholism, but, read the chapter in the first person, and making the appropriate changes for food addiction/compulsive eating. By personalizing the AA Big Book, the power of its message can be more easily absorbed. For fun, I thought I would post my personalized adaptations on this chapter, using the Original Manuscript, while referring to the page references from the current edition of the AA Big Book 4th Edition. My adaptations are in red. 30:1 I have been unwilling to admit that I am a real food addict/compulsive eater. I do not like to think that I am bodily and mentally different from my fellows. Therefore it is not surprising that my dieting career has been characterized by countless vain attempts to prove that I could eat like other people. The idea that somehow, someday, I will be able to control my sugar and flour intake and food volume is the great obsession of every abnormal eater. The persistence of this illusion is astonishing. I have pursued it to the gates of spiritual insanity and spiritual if not yet physical death. 30:2 I learned that I had to fully concede to my innermost self that I am a food addict/compulsive overeater. The delusion that I am like other people or presently may be, had to be smashed. 30:3 As a food addict/compulsive overeater, I have lost the ability to control my eating flour/sugar and volume of food. I know that no real food addict ever recovered this control. I felt at times that I was regaining control, but such intervals – usually brief – were inevitably followed by still less control, which led in time to pitiful and incomprehensible demoralization. I am convinced that a woman of my type is in the grip of a progressive illness. Over any considerable period I can only get worse, never better. 30:4 We are like men who have lost their legs; they never grow new ones. Neither does there appear to be any kind of treatment which will make alcoholics of our kind like other men. We have tried every imaginable remedy. In some instances there has been brief recovery, followed always by still worse relapse. Physicians who are familiar with alcoholism agree there is no such thing as making a normal drinker out of an alcoholic. Science may one day accomplish this, but it evidently hasn’t done so yet. 30:4 I am like a woman who has lost her legs; I will never grow new ones. Neither does there appear to be any kind of treatment which will make food addict/compulsive eaters of my kind like other women. I have tried every imaginable remedy. In some instances there has been brief recovery, followed always by still worse relapse. Physicians who are familiar with food addicts/compulsive eaters agree there is no such thing as making a normal eater out of an food addict/compulsive eater. Science may one day accomplish this, but it evidently hasn’t done so yet. 31:1 Despite all we can say, many who are real alcoholics are not going to believe they are in that class. By every form of self-deception and experimentation, they will try to prove themselves exceptions to the rule, therefore non-alcoholic. If anyone, who is showing inability to control his drinking, can do the right-about-face and drink like a gentleman, our hats are off to him. Heaven knows, we have tried hard enough and long enough to drink like other people! 31:1 Despite all I can say, many who are real food addict/compulsive eaters are not going to believe that they, like me, are in that class. By every form of self-deception and experimentation, I would try to prove myself exceptions to the rule, therefore a non-food addicted/compulsive eater. If I am showing inability to control my eating, and I could do the right-about-face and eat like a lady, hats off to me. Heaven knows, I have tried hard enough and long enough to eat and drink like other people! 31:2 Here are some of the methods we have tried: drinking beer only, limiting the number of drinks, never drinking alone, never drinking in the morning, drinking only at home, never having it in the house, never drinking during business hours, drinking only at parties, switching from scotch to brandy, drinking only natural wines, agreeing to resign if ever drunk on the job, taking a trip, not taking a trip, swearing off forever (with and without a solemn oath), taking more physical exercise, reading inspirational books, consulting psychologists, going to health farms and sanitariums, accepting voluntary commitment to asylums – we could increase the list ad infinitum. 31:2 Here are some of the methods I have tried: drinking liquid diets, limiting the number of bits, never eating alone, never eating addictive foods in the morning, eating only at home, never having addictive substances in the house, never bingeing during business hours, eating only at parties after starving, switching from diet to diet, eating only natural or organic foods, agreeing to resign if ever drunk on food on the job, taking a trip, not taking a trip, swearing off forever (with and without a solemn oath), taking more physical exercise, reading inspirational books, consulting psychologists, going to health clubs and spas – I could increase the list ad infinitum. 31:3 We do not like to brand any individual as an alcoholic, but you can quickly diagnose yourself. Step over to the nearest barroom and try some controlled drinking. Try to drink and stop abruptly. Try it more than once. It will not take long for you to decide, if you are honest with yourself about it. It will be worth a bad case of jitters if you get thoroughly sold on the idea that you are a candidate for Alcoholics Anonymous! 31:3 I do not like to brand any individual as a food addict/compulsive over-eater, but I can quickly diagnose myself. Step over to the nearest restaurant and try some controlled eating. Try to eat and stop abruptly. Try it more than once. It will not take long for me to decide, if I am honest with myself about it. It will be worth a bad case of food fog or food hangover if I get thoroughly sold on the idea that I am a candidate for Overeaters Anonymous! 32:1 Though there is no way of proving it, we believe that early in our drinking careers most of us could have stopped drinking. But the difficulty is that few alcoholics have enough desire to stop while there is yet time. We have heard of a few instances where people, who showed definite signs of alcoholism, were able to stop because of an overpowering desire to do so. Here is one. 32:1 Though there is no way of proving it, I believe that early in my bingeing career, I could have stopped compulsive eating. But the difficulty is that few food addicts/compulsive overeaters like me have enough desire to stop while there is yet time. I have heard of a few instances where people, similar to me who showed definite signs of food addiction/compulsive overeating, were able to stop because of an overpowering desire to do so. Here is one. 32:2 A man of thirty was doing a great deal of spree drinking. He was very nervous in the morning after these bouts and quieted himself with more liquor. He was ambitious to succeed in business, but saw that he would get nowhere if he drank at all. Once he started, he had no control whatever. He made up his mind that until he had been successful in business and had retired, he would not touch another drop. An exceptional man, he remained bone dry for twenty-five years, and retired at the age of fifty-five,after a successful and happy business career. Then he fell victim to a belief which practically every alcoholic has – that his long period of sobriety and self discipline had qualified him to drink as other men. Out came his carpet slippers and a bottle. In two months he was in a hospital, puzzled and humiliated. He tried to regulate his drinking for a while, making several trips to the hospital meantime. Then, gathering all his forces, he attempted to stop, and found he could not. Every means of solving his problem which money could buy was at his disposal. Every attempt failed. Though a robust man at retirement, he went to pieces quickly, and was dead within four years. 32:2 A man of thirty was doing a great deal of binge/hard eating. He was very nervous in the morning after these bouts and quieted himself with more flour or sugar. He was ambitious to succeed in business, but saw that he would get nowhere if he binged at all. Once he started, he had no control whatever. He made up his mind that until he had been successful in business and had retired, he would not touch another bite. An exceptional man, he remained white knuckle abstinent for twenty-five years, and retired at the age of fifty-five, after a successful and happy business career. Then he fell victim to a belief which practically every food addict/COE has – that his long period of abstinence and self discipline had qualified him to eat as other women. Out came his carpet slippers and plates. In two months he was in a hospital, puzzled and humiliated. Similar to what I would have done, he tried to regulate his food for a while, making several trips to the diet clubs/nutritionists/OA meeting rooms/hospitals in the meantime. Then, gathering all his forces, similar to what I would have done, he attempted to stop, and just like I found that he could not. Similar to me, every means of solving his problem which money could buy was at his disposal. Every attempt failed. Though a robust man at retirement, he went to pieces quickly, and was dead within four years. 33:1 This case contains a powerful lesson. Most of us have believed that if we remained sober for a long stretch, we could thereafter drink normally. But here is a man who at fifty-five years found he was just where he had left off at thirty. We have seen the truth demonstrated again and again: “once an alcoholic, always an alcoholic.” Commencing to drink after a period of sobriety, we are in a short time as bad as ever. If you are planning to stop drinking, there must be no reservation of any kind, nor any lurking notion that someday you will be immune to alcohol. 33:1 This case contains a powerful lesson. I always believed that if I stayed abstinent for a long stretch, I would thereafter eat normally. But here is a man who at fifty-five years found he was just where he had left off at thirty. We have seen the truth demonstrated again and again: “once a food addict/COE, always an food addict/COE.” Commencing to eat normally after a period of abstinence, I am in a short time as bad as ever. If I am planning to stop bingeing and eating compulsively, there must be no reservation of any kind, nor any lurking notion that someday I will be immune to addictive or compulsive eating behaviors. 33:2 Young people may be encouraged by this man’s experience to think that they can stop, as he did, on their own will power. We doubt if many of them can do it, because none will really want to stop, and hardly one of them, because of the peculiar mental twist already acquired, will find he can win out. Several of our crowd, men of thirty-five or less, had been drinking but a few years, but they found themselves as helpless as those who had been drinking twenty years. 33:2 Young people may be encouraged by this man’s experience to think that they can stop, as he did, on their own will power. I doubt if many of them can do it. In my experience, no one, including me can win out against the peculiar mental twist once it has been stealthy acquired. Several of our crowd, men of thirty-five or less, had been binge eating but a few years, but they found themselves as helpless as those who had binged for twenty years. 33:3 To be gravely affected, one does not necessarily have to drink a long time, nor take the quantities some of us have. This is particularly true of women. Potential feminine alcoholics often turn into the real thing and are gone beyond recall in a few years. Certain drinkers, who would be greatly insulted if called alcoholic, are astonished at their inability to stop. We, who are familiar with the symptoms, see large numbers of potential alcoholics among young people everywhere. But try and get them to see it! 33:3 To be gravely affected, I do not necessarily have to binge eating and unsuccessfully dieting for a long time, nor take the quantities some of us have. This is particularly true of women. Potential feminine food addicts/COE often turn into the real thing and are gone beyond recall in a few years. Certain hard eaters/bingers, who would be greatly insulted if called food addicts/COE, are astonished at their inability to stop. We, who are familiar with the symptoms, see large numbers of potential food addicts/compulsive overeaters (COE) among young people everywhere. But try and get them or yourself to see it! 34:1 As we look back, we feel we had gone on drinking many years beyond the point where we could quit on our will power. If anyone questions whether he has entered this dangerous area, let him try leaving liquor alone for one year. If he is a real alcoholic and very far advanced, there is scant chance of success. In the early days of our drinking we occasionally remained sober for a year or more, becoming serious drinkers again later. Though you may be able to stop for a considerable period, you may yet be a potential alcoholic. We think few, to whom this book will appeal, can stay dry anything like a year. Some will be drunk the day after making their resolutions; most of them within a few weeks. 34:1 As I look back, I feel I had gone on bingeing many years beyond the point where I could quit on my will power. If anyone questions whether he has entered this dangerous area, try like I did to leave flour/sugar and eating excessive quantities alone for one year. If you are like me, a real food addict/COE and very far advanced, there is scant chance of success. In the early days of my bingeing or dieting I occasionally remained abstinent for a year or more, becoming serious binger again later. Though I may be able to stop bingeing for a considerable period, I may yet be a potential food addict/COE. I think few, to whom this book will appeal, can stay abstinent anything like a year. Some, like I did, will binge the day after making their resolutions; and most, just like me, within a few weeks. 34:2 For those who are unable to drink moderately the question is how to stop altogether. We are assuming, of course, that the reader desires to stop. Whether such a person can quit upon a non-spiritual basis depends somewhat upon the strength of his character, and how much he really wants to be done with it. But even more will it depend upon the extent to which he has already lost the power to choose whether he will drink or not. Many of us felt that we had plenty of character. There was a tremendous urge to cease forever. Yet we found it impossible. This is the baffling feature of alcoholism as we know it – this utter inability to leave it alone, no matter how great the necessity or the wish. 34:2 For those who are unable to eat moderately the question is how to stop altogether. We are assuming, of course, that the reader desires to stop. Whether I can quit upon a non-spiritual basis depends somewhat upon the strength of my character, and how much I really want to be done with it. But even more will it depend upon the extent to which I have already lost the power to choose whether I will binge or not. I felt that I had plenty of character. I had a tremendous urge to cease forever. Yet I found it impossible. This is the baffling feature of food addiction/COE as I know it – this utter inability to leave it alone, no matter how great the necessity or the wish. 34:3 How then shall we help our readers determine, to their own satisfaction, whether they are one of us? The experiment of quitting for a period of time will be helpful, but we think we can render an even greater service to alcoholic sufferers, and perhaps to the medical fraternity. So we shall describe some of the mental states that precede a relapse into drinking, for obviously this is the crux of the problem. 34:3 How then shall I help our readers determine, to their own satisfaction, whether they are like me? The experiment of quitting for a period of time will be helpful, but I think I can render an even greater service to food addicts and those who suffer from compulsive overeating behaviors, and perhaps to the medical fraternity. So I shall describe some of the mental states that preceded a binge into flour, sugar and compulsive eating, for obviously this is the crux of the problem. 35:1 What sort of thinking dominates an alcoholic who repeats time after time the desperate experiment of the first drink? Friends, who have reasoned with him after a spree which has brought him to the point of divorce or bankruptcy, are mystified when he walks directly into a saloon. Why does he? Of what is he thinking? 35:1 What sort of thinking dominates a food addict/COE who repeats time after time the desperate experiment of the first bite? Friends, who have reasoned with me after a binge which has brought me to the point of divorce or bankruptcy, are mystified when I walk directly into a bakery/restaurant or refrigerator. Why do I? Of what am I thinking? 35:2 Our first example is a friend we shall call Jim. This man has a charming wife and family. He inherited a lucrative automobile agency. He had a commendable world war record. He is a good salesman. Everybody likes him. He is an intelligent man, normal so far as we can see, except for a nervous disposition. He did no drinking until he was thirty-five. In a few years he became so violent when intoxicated that he had to be committed. On leaving the asylum, he came into contact with us. 35:3 We told him what we knew of alcoholism and the answer we had found. He made a beginning. His family was re-assembled, and he began to work as a salesman for the business he had lost through drinking. All went well for a time, but he failed to enlarge his spiritual life. To his consternation, he found himself drunk half a dozen times in rapid succession. On each of these occasions we worked with him, reviewing carefully what had happened. He agreed he was a real alcoholic and in serious condition. He knew he faced another trip to the asylum if he kept on. Moreover, he would lose his family, for whom he had deep affection. 35:3 I told him what I knew of food addict/COE and the answer I had found. He made a beginning. His family was re-assembled, and he began to work as a salesman for the business he had lost through drinking. All went well for a time, but when he, like me failed to enlarge his spiritual life. To his consternation, he found himself just as I did, bingeing and compulsively eating a half a dozen times in rapid succession. On each of these occasions, people in program worked with him, as they did with me and carefully reviewed what had happened. Just as I did, he agreed that he was a real food addict/COE and in serious condition. He knew, just as I did, that he faced another trip to the doctor’s office, nutritionist, diet center, if he kept on eating this way. Moreover, similar to my experience, he would lose his family, for whom he had deep affection. 36:1 Yet he got drunk again. We asked him to tell us exactly how it happened. This is his story: “I came to work on Tuesday morning. I remember I felt irritated that I had to be a salesman for a concern I once owned. I had a few words with the boss, but nothing serious. Then I decided to drive into the country and see one of my prospects for a car. On the way I felt hungry so I stopped at a roadside place where they have a bar. I had no intention of drinking. I just thought I would get a sandwich. I also had the notion that I might find a customer for a car at this place, which was familiar, for I had been going to it for years. I had eaten there many times during the months I was sober. I sat down at a table and ordered a sandwich and a glass of milk. Still no thought of drinking. I ordered another sandwich and decided to have another glass of milk. 36:1 Yet I binged again. We asked him to tell us exactly how it happened. This is his story: “I came to work on Tuesday morning. I remember I felt irritated that I had to be a salesman for a concern I once owned. I had a few words with the boss, but nothing serious. Then I decided to drive into the country and see one of my prospects for a car. On the way I felt hungry so I stopped at a roadside place where they have a bar. I had no intention of eating compulsively. I just thought I would get a sandwich. I also had the notion that I might find a customer for a car at this place, which was familiar, for I had been going to it for years. I had eaten there many times during the months I was sober. I sat down at a table and ordered a sandwich and a glass of milk. Still no thought of bingeing or eating compulsively. I ordered another sandwich and decided to have another glass of milk. 36:3 Thus started on more journey to the asylum for Jim. Here was the threat of commitment, the loss of family and position, to say nothing of that intense mental and physical suffering which drinking always caused him. He had much knowledge about himself as an alcoholic. Yet all reasons for not drinking were easily pushed aside in favor of the foolish idea he could take whiskey if only he mixed it with milk! 36:3 Thus started on one more journey to the gym, diet centers, nutritionists for me. Here was the threat of commitment, the loss of family and position, to say nothing of that intense mental and physical suffering which bingeing and eating compulsively always caused me. I had much knowledge about myself as a food addict/compulsive overeater. Yet all reasons for not bingeing were easily pushed aside in favor of the foolish idea I could take flour and sugar if only I ate it with milk! 37:1 Whatever the precise medical definition of the word may be, we call this plain insanity. How can such a lack of proportion, of the ability to think straight, be called anything else? 37:1 Whatever the precise medical definition of the word may be, I call this plain insanity. How can such a lack of proportion, of the ability to think straight, be called anything else? 37:2 You may think this an extreme case. To us it is not-far~ fetched, for this kind of thinking has been characteristic of every single one of our group. Some of us have sometimes reflected more than Jim did, upon the consequences. But there was always the curious mental phenomenon, that parallel with our sound reasoning there inevitably ran some insanely trivial excuse for taking the first drink. Our sound reasoning failed to hold us in check. The insane idea won out. Next day we would ask ourselves, in all earnestness and sincerity, how it could have happened. 37:2 You may think this an extreme case. To us it is not far fetched, for this kind of thinking has been characteristic of every single one of our group. I have sometimes reflected more than Jim did, upon the consequences. But there was always the curious mental phenomenon, that parallel with my sound reasoning there inevitably ran some insanely trivial excuse for taking the first bite. My sound reasoning failed to hold me in check. The insane idea won out. Next day I would ask myself, in all earnestness and sincerity, how it could have happened. 37:3 In some circumstances we have gone out deliberately to get drunk, feeling ourselves justified by nervousness, anger, worry, depression, jealousy or the like. But even in this type of beginning we are obliged to admit that our justification for a spree was insanely insufficient in the light of what always happened. We now see that when we began to drink deliberately, instead of casually, there was little serious or effective thought during the period of premeditation, of what the terrific consequences might be. 37:3 In some circumstances I have gone out deliberately to binge oe overeat, feeling myself justified by nervousness, anger, worry, depression, jealousy or the like. But even in this type of beginning I am obliged to admit that my justification for a binge was insanely insufficient in the light of what always happened. I now see that when I began to compulsively eat/binge/overeat deliberately, instead of casually, there was little serious or effective thought during the period of premeditation, of what the terrific consequences might be. 37:4 Our behavior is as absurd and incomprehensible with respect to the first drink as that of an individual with a passion, say, for jay-walking. He gets a thrill out of skipping in front of fast- moving vehicles. He enjoys himself a few years in spite of friendly warnings. Up to this point you would label him as a foolish chap, having queer ideas of fun. Luck then deserts him and he is slightly injured several times in succession. You would expect him, if he were normal, to cut it out. Presently he is hit again and this time has a fractured skull. Within a week after leaving the hospital, a fast-moving trolley car breaks his arm. He tells you he has decided to stop jay- walking for good, but in a few weeks he breaks both legs. 37:4 My behavior is as absurd and incomprehensible with respect to the first bite as that of an individual with a passion, say, for jay-walking. If I get a thrill out of opening and shutting the refrigerator or freezer. I enjoy myself for a few years in spite of friendly warnings. Up to this point you would label me as a foolish chap, having queer ideas of fun. Luck then deserts me and I am slowly becoming fatter and fatter over time which injured me several times in succession. You would expect me, if I was normal, to cut it out. Presently I am eating more and more, and this time I become morbidly obese. Within a week after leaving the hospital, a fast-moving trolley car breaks my arm. I tell you that I have decided to stop eating compulsively and visiting bakeries and candy shops for good, but in a few weeks, I have difficulty walking due to my obesity. 38:1 On through the years this conduct continues, accompanied by his continual promises to be careful or to keep off the streets altogether. Finally, he can no longer work, his wife gets a divorce, he is held up to ridicule. He tries every known means to get the jay-walking idea out of his head. He shuts himself up in an asylum, hoping to mend his ways. But the day he comes out he races in front of a fire engine, which breaks his back. Such a man would be crazy, wouldn’t he? 38:1 On through the years this conduct continues, accompanied by my continual promises to be careful or to keep out of the fridge, candy stores and bakeries altogether. Finally, I can no longer work, my husband divorces me, I am held up to ridicule. I try every known means to get the bingeing/hard eating idea out of my. I try wiring my jaws or bariatric surgery, hoping to mend my ways. But the day I he comes out I race in front of an ice cream truck, which breaks my diet yet again. Such a woman would be crazy, wouldn’t she? 38:2 You may think our illustration is too ridiculous. But is it? We, who have been through the wringer, have to admit if we substituted alcoholism for jay-walking, the illustration would fit us exactly. However intelligent we may have been in other respects, where alcohol has been involved, we have been strangely insane. It’s strong language – but isn’t it true? 38:2 You may think our illustration is too ridiculous. But is it? We, who have been through the wringer, have to admit if I substituted compulsive eating/bingeing for jay-walking, the illustration would fit me exactly. However intelligent I may have been in other respects, where flour/sugar/food has been involved, I have been strangely insane. It’s strong language – but isn’t it true? 39:1 That may be true of certain non-alcoholic people who, though drinking foolishly and heavily at the present time, are able to stop or moderate, because their brains and bodies have not been warped and degenerated as ours were. But the actual or potential alcoholic, with hardly an exception, will be absolutely unable to stop drinking on the basis of self-knowledge. 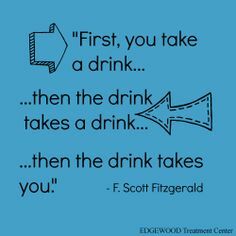 This is a point we wish to emphasize and reemphasize, to smash home upon our alcoholic readers as it has been revealed to us out of bitter experience. Let us take another illustration. 39:1 That may be true of certain non- compulsive eating/bingeing people who, though dieting/eating foolishly and heavily at the present time, are able to stop or moderate, because their brains and bodies have not been warped and degenerated as mine is. But the actual or potential food and sugar addict/compulsive overeater, with hardly an exception, will be absolutely unable to stop eating compulsively on the basis of self-knowledge. This is a point we wish to emphasize and reemphasize, to smash home upon our food and sugar addict/compulsive overeater readers as it has been revealed to me out of bitter experience. Let us take another illustration. 39:2 Fred is partner in a well known accounting firm. His income is good, he has a fine home, is happily married and the father of promising children of college age. He is so attractive a personality that he makes friends with everyone. If ever there was a successful business man, it is Fred. To all appearances he is a stable, well balanced individual. Yet, he is alcoholic. We first saw Fred about a year ago in a hospital where he had gone to recover from a bad case of jitters. It was his first experience of this kind, and he was much ashamed of it. Far from admitting he was an alcoholic, he told himself he came to the hospital to rest his nerves. The doctor intimated strongly that he might be worse than he realized. For a few days he was depressed about his condition. He made up his mind to quit drinking altogether. It never occurred to him that perhaps he could not do so, in spite of his character and standing. Fred would not believe himself an alcoholic, much less accept a spiritual remedy for his problem. We told him about alcoholism. He was interested and conceded that he had some of the symptoms, but he was a long way from admitting that he could do nothing about it himself. He was positive that this humiliating experience, plus the knowledge he had acquired, would keep him sober the rest of his life. Self- knowledge would fix it. 39:2 Shira is partner in a well known accounting firm. My income is good, I have a fine home, is happily married and the mother of promising children of college age. I am so attractive a personality that I make makes friends with everyone. If ever there was a successful business woman, it is Shira. To all appearances I am a stable, well balanced individual. Yet, I am a compulsive eating/sugar/food addict. We first saw Shira about a year ago in a hospital where she had gone to recover from bariatric surgery and the effects of obesity. It was her first experience of this kind, and she was much ashamed of it. Far from admitting I am a compulsive eater/food/sugar addict, I told myself I came to the diet center to learn better eating habits. The doctor intimated strongly that I might be worse than I realized. For a few days I was depressed about my condition. I made up my/his mind to quit compulsively overeating/bingeing/drinking altogether. It never occurred to me/him that perhaps I/he could not do so, in spite of my/his character and standing. Shira/Fred would not believe herself a compulsive overeater/food addict/himself an alcoholic, much less accept a spiritual remedy for my/his problem. We told him about compulsive overeating/sugar addiction/alcoholism. I/He was interested and conceded that I/he had some of the symptoms, but I/he was a long way from admitting that I/he could do nothing about it myself/himself. I/ He was positive that this humiliating experience, plus the knowledge I/he had acquired, would keep me/him abstinent/sober the rest of my/his life. Self- knowledge would fix it. 40:1 We heard no more of Fred for a while. One day we were told that he was back in the hospital. This time he was quite shaky. He soon indicated he was anxious to see us. The story he told is most instructive for here was a chap absolutely convinced he had to stop drinking, who had no excuse for drinking, who exhibited splendid judgment and determination in all his other concerns, yet was flat on his back nevertheless. 40:1 We heard no more of Fred for a while. One day we were told that he was back in the hospital. This time he was quite shaky. He soon indicated he was anxious to see us. The story he told is most instructive for here was a chap absolutely convinced he had to stop compulsively eating/drinking, who had no excuse for compulsively eating/drinking, who exhibited splendid judgment and determination in all my/his other concerns, yet was flat on my/his back nevertheless. 40:2 Let him tell you about it: “I was much impressed with what you fellows said about alcoholism, but I frankly did not believe it would be possible for me to drink again. I somewhat appreciated your ideas about the subtle insanity which precedes the first drink, but I was confident it could not happen to me after what I had learned. I reasoned I was not so far advanced as most of you fellows, that I had been usually successful in licking my other personal and~ problems, that I would therefore be successful where you men failed. I felt I had every right to be self-confident, that it would be only a matter of exercising my will power and keeping on guard. 40:2 Let him tell you about it: “I was much impressed with what you fellows said about alcoholism, but I frankly did not believe it would be possible for me to compulsively eat/ drink again. I somewhat appreciated your ideas about the subtle insanity which precedes the first bite/drink, but I was confident it could not happen to me after what I had learned. I reasoned I was not so far advanced as most of you fellows, that I had been usually successful in licking my other personal and~ problems, that I would therefore be successful where you men failed. I felt I had every right to be self-confident, that it would be only a matter of exercising my will power and keeping on guard. 40:3 “In this frame of mind, I went about my business and for a time all was well. I had no trouble refusing drinks, and began to wonder if I had not been making too hard work of a simple matter. One day I went to Washington to present some accounting evidence to a government bureau. I had been out of town before during this particular dry spell, so there was nothing new about that. Physically, I felt fine. Neither did I have any pressing problems or worries. My business came off well, I was pleased and knew my partners would be too. It was the end of a perfect day, not a cloud on the horizon. 41:1 “I went to my hotel and leisurely dressed for dinner. As I crossed the threshold of the dining room, the thought came to mind it would be nice to have a couple of cocktails with dinner. That was all. Nothing more. I ordered a cocktail and my meal. Then I ordered another cocktail. After dinner I decided to take a walk. When I returned to the hotel it struck me a highball would be fine before going to bed, so I stepped into the bar and had one. I remember having several more that night and plenty next morning. I have a shadowy recollection of being in an airplane bound for New York, of finding a friendly taxicab driver at the landing field instead of my wife. The driver escorted me about for several days. I know little of where I went, or what I said and did. Then came the hospital with its unbearable mental and physical suffering. 41:1 “I went to my hotel and leisurely dressed for dinner. As I crossed the threshold of the dining room, the thought came to mind it would be nice to have a couple of pastries/cocktails with dinner. That was all. Nothing more. I ordered a pastry and my meal. Then I ordered another pastry. After dinner I decided to take a walk. When I returned to the hotel it struck me that a cookie would be fine before going to bed, so I stepped into the bakery/restaurant/ and had one. I remember having several more that night and plenty next morning. I have a shadowy recollection of being in an airplane bound for New York, of finding a friendly taxicab driver at the landing field instead of my wife. The driver escorted me about for several days. I know little of where I went, or what I said and did. Then came the hospital with its unbearable mental and physical suffering. 41:2 “As soon as I regained my ability to think, I went carefully over that evening in Washington. Not only had I been off guard, I had made no fight whatever against that first drink. This time I had not thought of the consequences at all. I had commenced to drink as carelessly as though the cocktails were ginger ale. I now remembered what my alcoholic friends had told me, how they phophesied~ that if I had an alcoholic mind, the time and place would come – I would drink again. They had said that though I did raise a defense,it would one day give way before some trivial reason for having a drink. Well, just that did happen and more, for what I had learned of alcoholism did not occur to me at all. I knew from that moment that I had an alcoholic mind. I saw that will power and self-knowledge would not help in those strange mental blank spots. I had never been able to understand people who said that a problem had them hopelessly defeated. I knew then. It was a crushing blow. 41:2 “As soon as I regained my ability to think, I went carefully over that evening in Washington. Not only had I been off guard, I had made no fight whatever against that first bite. This time I had not thought of the consequences at all. I had commenced to eat flour and sugar as carelessly as though the pastries were salad or even water. I now remembered what my OA friends had told me, how they prophesied- that if I had a food and sugar addict/compulsive overeater mind, the time and place would come – I would binge again. They had said that though I did raise a defense, it would one day give way before some trivial reason for having a compulsive bite. Well, just that did happen and more, for what I had learned of food and sugar addiction/compulsive overeating did not occur to me at all. I knew from that moment that I had a food and sugar addict/compulsive overeating mind. (Also know as a fat head). I saw that will power and self-knowledge would not help in those strange mental blank spots. I had never been able to understand people who said that a problem had them hopelessly defeated. I knew then. It was a crushing blow. 42:1 “Two of the members of Alcoholics Anonymous came to see me. They grinned, which I didn’t like so much, and then asked me if I thought myself alcoholic and if I were really licked this time. I had to concede both propositions. They piled on me heaps of medical evidence to the effect that an alcoholic mentality, such as I had exhibited in Washington, was a hopeless condition. They cited cases out of their own experience by the dozen. This process snuffed out the last flicker of conviction that I could do the job myself. 42:1 “Two of the members of Overeaters Anonymous came to see me. They grinned, which I didn’t like so much, and then asked me if I thought myself a food and/or sugar addict and/or compulsive overeater and if I were really licked this time. I had to concede both propositions. They piled on me heaps of medical evidence to the effect that a food and sugar addict’s mentality, such as I had exhibited in Washington, was a hopeless condition. They cited cases out of their own experience by the dozen. This process snuffed out the last flicker of conviction that I could do the job myself. 42:2 “Then they outlined the spiritual answer and program of action which a hundred of them had followed successfully. Though I had been only a nominal churchman, their proposals were not, intellectually, hard to swallow. But the program of action, though entirely sensible, was pretty drastic. It meant I would have to throw several lifelong conceptions out of the window. That was not easy. But the moment I made up my mind to go through with the process, I had the curious feeling that my alcoholic condition was relieved, as in fact it proved to be. 43:1 Fred’s story speaks for itself. We hope it strikes home to thousands like him. He had felt only the first nip of the wringer. Most alcoholics have to be pretty badly mangled before they really commence to solve their problems. 43:1 Shira’s story speaks for itself. We hope it strikes home to thousands like her. She had felt only the first nip of the wringer. Most food and sugar addict/compulsive overeaters have to be pretty badly mangled before we really commence to solve our problems. 43:3 Once more: the food addict/compulsive eater, at certain times I have no effective mental defense against the first bite. Except in a few rare cases, I cannot provide such a defense. My defense must come from a higher Power. 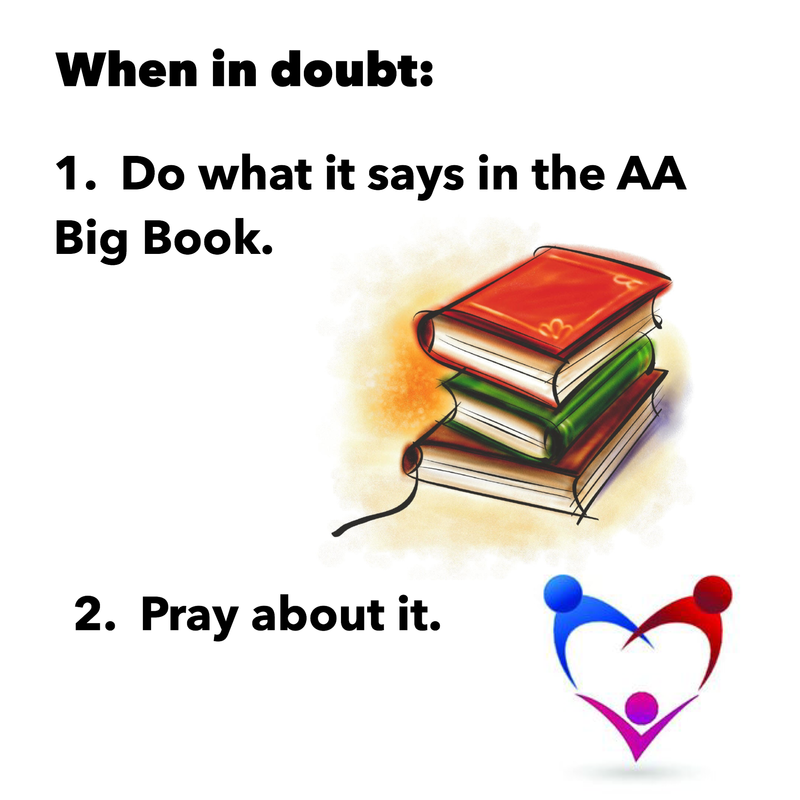 Please try it for yourself, and see if it helps to identify the true nature of our problem and the power of the AA Big Book. As with everything, take what you want and leave the rest behind. Thank you Judy for your service! What a great exercise. This is amazing! Thanks Shira! Thank you for reading it! I thought it was such a great exercise. Try it!